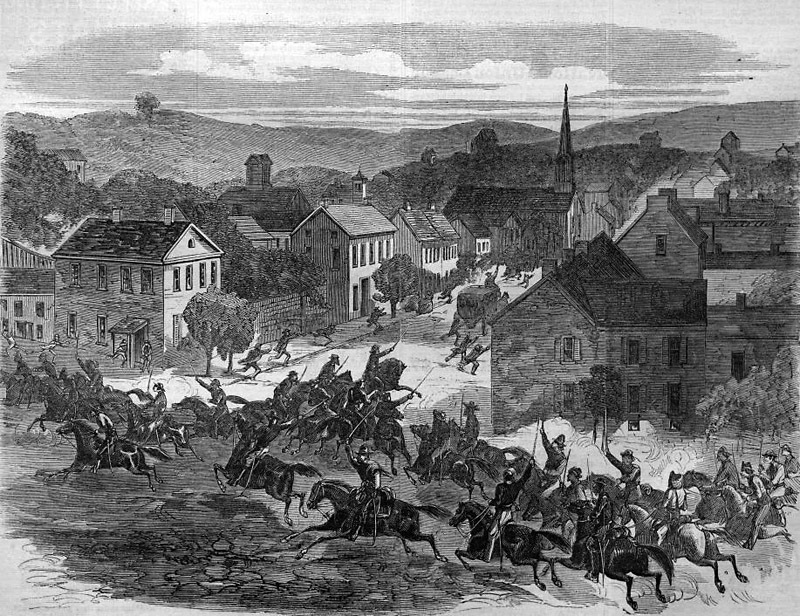 Clarksville, TN – The next meeting of the Clarksville Civil War Roundtable will be on Wednesday, October 17th, 2018 as we continue our fourteenth year! The meeting is held at the Bone and Joint Center, 980 Professional Park Drive, right across the street from Tennova Healthcare. This is just off Dunlop Lane and Holiday Drive and only a few minutes east of Governor’s Square mall. Clarksville Civil War Roundtable’s next program will be held Wednesday, October 17th. Clarksville, TN – The next meeting of the Clarksville (TN) Civil War Roundtable will be on Wednesday, September 21st, 2016 at the Bone & Joint Center, 980 Professional Park Drive, right across the street from Tennova Healthcare. This is just off Dunlop Lane and Holiday Drive and only a few minutes east of Governor’s Square mall. The meeting begins at 7:00pm and is always open to the public. Members please bring a friend or two – new recruits are always welcomed. “The 11th Tennessee Infantry” is the topic for the next Clarksville Civil War Roundtable meeting. Clarksville, TN – For the last year of the 150th anniversary of the Civil War, the Tennessee Civil War National Heritage Area has expanded its traveling exhibition about emancipation and Reconstruction. “Free at Last!” tells the momentous story of the transition from slavery to freedom and the development of citizenship among formerly enslaved African Americans. 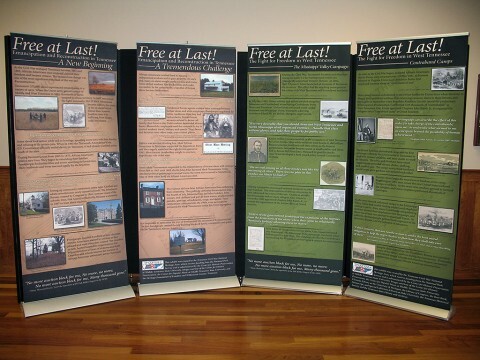 Doubled in size to eight banner stands, the exhibition now has panels focused on each of Tennessee’s three grand divisions. 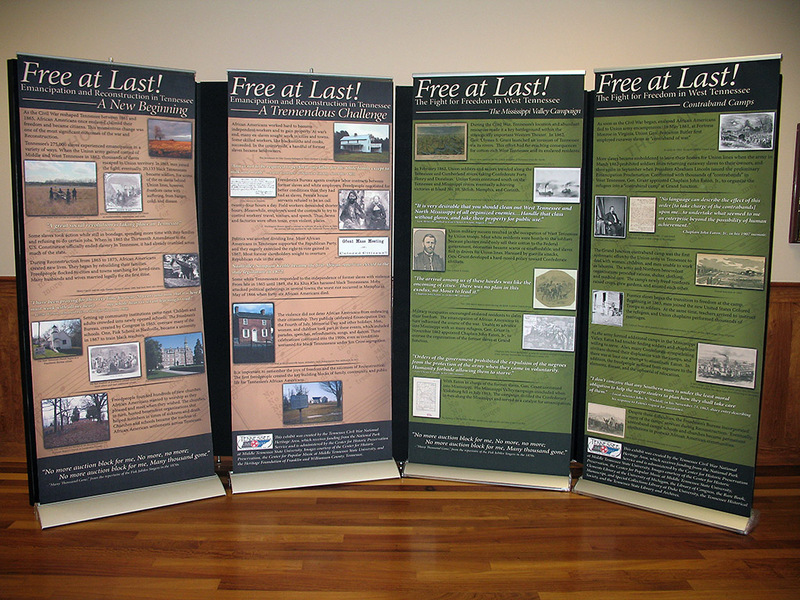 “Free at Last!” is available to museums and historic sites free of charge and is on view at the Fort Defiance Civil War Park and Interpretive Center in Clarksville from now to December 10th, 2015. Clarksville, TN – Students from Scott and Blount counties interested in becoming special education teachers are eligible for a new scholarship at Austin Peay State University, thanks to a recent gift from an anonymous donor. 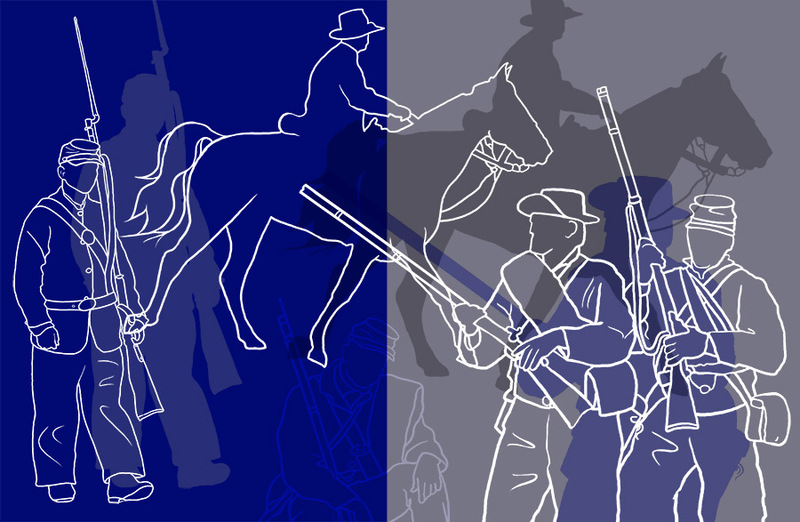 Clarksville, TN – As we begin the last year of the 150th anniversary of the Civil War, the Tennessee Civil War National Heritage Area has expanded its traveling exhibition about emancipation and Reconstruction. “Free at Last!” tells the momentous story of the transition from slavery to freedom and the development of citizenship among formerly enslaved African Americans. Clarksville, TN – The next meeting of the Clarksville (TN) Civil War Roundtable will be on Wednesday, October 15th, 2014 at the Bone & Joint Center, 980 Professional Park Drive, right across the street from Gateway Medical Center. This is just off Dunlop Lane and Holiday Drive and only a few minutes east of Governor’s Square mall. Clarksville, TN – Walking into the Planters Bank Peg Harvill Gallery of the Customs House Museum is like entering a new world through the rabbit hole. Walls and risers have become the temporary home of Mindy Herrin’s surreal creations. 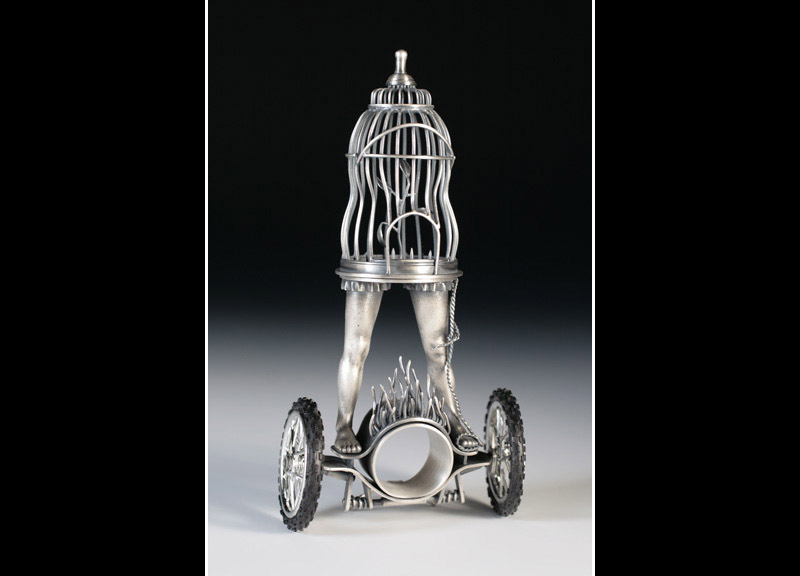 A metalsmith from East Tennessee, Herrin creates sculptures and jewelry that seem to come from a dark, albeit beautiful place. 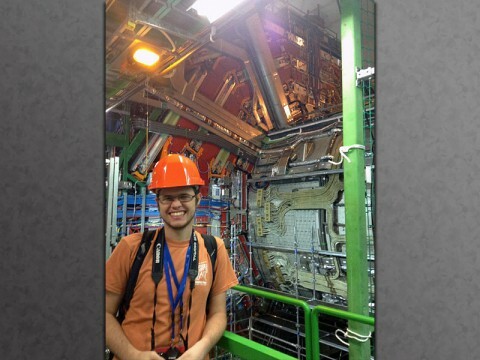 Clarksville, TN – When Austin Peay State University student Chris Hayes returned to Clarksville last summer, after spending nine weeks at the famed CERN laboratory in Switzerland, his friends and professors asked him what he thought of Europe. APSU student Chris Hayes stands next to the CMS detector, which is part of the Large Hadron Collider at CERN in Switzerland. Clarksville, TN – The next meeting of the Clarksville (TN) Civil War Roundtable will be on Wednesday, October 19th, 2011 in our new home at the Bone & Joint Center, 980 Professional Park Drive, right across the street from Gateway Hospital. This is just off Dunlop Lane and Holiday Drive and only a few minutes east of Governor’s Square mall. The meeting begins at 7:00 pm and is always open to the public.